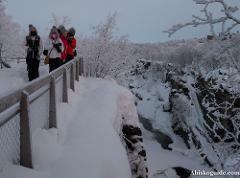 A shorter walk around the Abisko river canyon, one of the most scenic areas in Abisko. 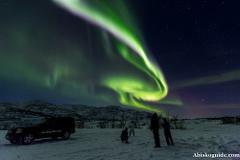 The Aurora Hunting tour is all about giving you the best chances too see the Northern Lights. We travel up to 100km by car, to get where the weather conditions will give the best chance to see the aurora. Adrenaline and vertical ice. 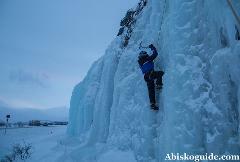 Abisko is a perfect place for trying out ice climbing! 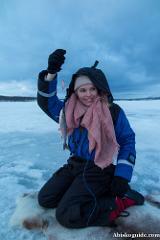 Experience the winter as the locals, try fishing on one of the many frozen lakes in the Abisko surroundings. 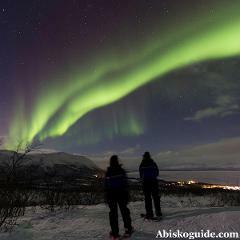 A walk into the wilderness around Abisko is a great way to experience the aurora. Walking with snowshoes is the best way to get out and experience the wilderness around Abisko.  Custom tours, such as private tours, other activities, longer tours and expeditions.